Lightspeed POS Inc. has filed a preliminary prospectus in connection with a proposed initial public offering (IPO) of subordinate voting shares to be priced. The offering is being underwritten by BMO Nesbitt Burns Inc., National Bank Financial Inc. and J.P. Morgan Securities Canada Inc. Stikeman Elliott LLP and Osler, Hoskin & Harcourt LLP act as legal counsel to Lightspeed and the underwriters respectively. Lightspeed POS has applied to list its subordinate voting shares on the Toronto Stock Exchange (TSX) under the symbol “LSPD”. Founded in 2005, Montreal based Lightspeed provides an easy-to-use, omni-channel commerce-enabling SaaS platform. Lightspeed has approximately 700 employees, with global offices in Canada, the United States, Europe, and Australia. Founder & CEO, Dax Dasilva, and the largest shareholder, Caisse de dépôt et placement du Québec (CDPQ), will be the two principal shareholders following the closing of the offering. Dasilva is expected to maintain control of the company through holding of multiple voting shares. Lightspeed has raised approximately US $200 million in equity funding since its inception. 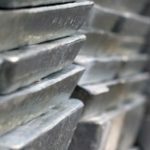 Investors include CDPQ, Investissement Quebec (IQ), iNovia Capital, Accel Partners (the only Series A investor, has since been bought out by CDQP). Lightspeed has also raised debt financing from Hercules Technology Growth Capital, Inc. and Silicon Valley Bank. Note: In October 2017, Lightspeed announced the closing of US $166 million Series D financing. 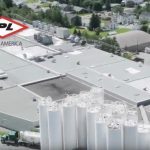 The financing was, in fact, merely a US $20 million Series E new funding round, the rest was the conversion and secondary purchase by CDPQ of some of the common shares and all of the Series A-1, A-2, and C preferred shares into Series E preferred shares. 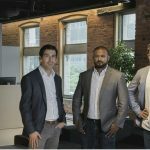 The company did not raise any new money in between its US $61 million Series D in September 2015 and the closing of Series E.
Lightspeed raised US $166M from Caisse de dépôt et placement du Québec, Investissement Québec (IQ), iNovia Capital and a credit line from Silicon Valley Bank. 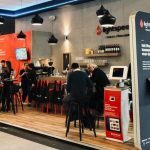 CDPQ backed Lightspeed POS priced IPO to $240M at $16 per share, up from proposed $200M at $13-15 per share. 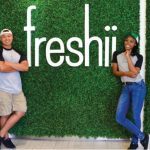 Freshii closed $125M IPO and secondary offering. Klass Capital and Gordon Investment Partners received $11.8M and $10M from partial disposition of holdings.